Grandma Cookie Potato is one of a kind. One of the things we love most about GCP is her ability to rock accessories like striped Halloween socks and funky pumpkin earrings. She not only buys these accessories for herself, but outfits CP#1 and #2 with Halloween-inspired gear whenever she can. 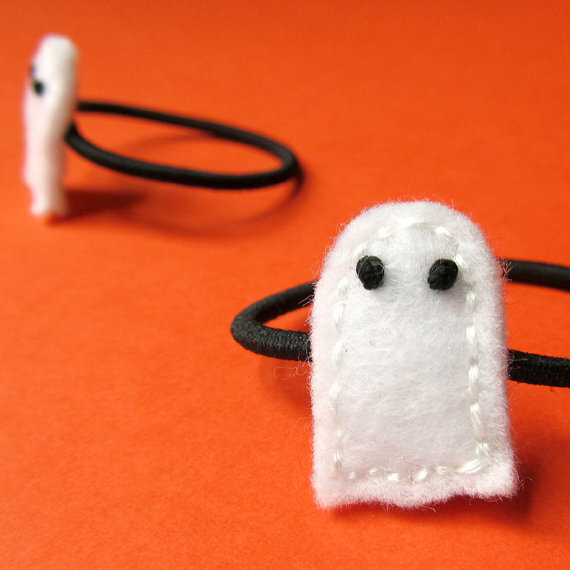 Something tells us Grandma would love these adorable felted hair accessories from South Portland designer Shannon Hanley. There’s something about this time of year that makes MP crave caffeine and carbohydrates. And what better place to satisfy that desire than South Portland’s Scratch Baking Co.? The artisan bakery in Willard Square is a warm and welcoming place filled with every delight a carbohydrate-craving mama could hope for (in this case it was a Maine Sea Salt bagel). 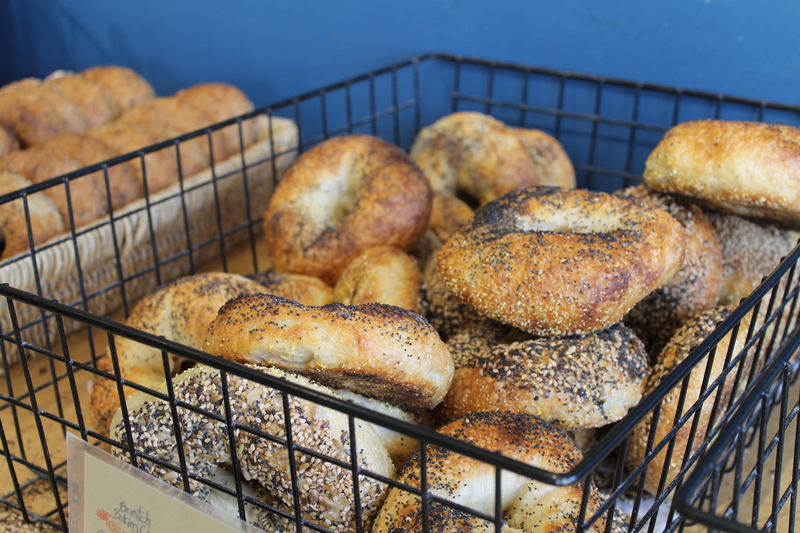 Beautiful bagels from Scratch – no wonder patrons are limited to one dozen. … Lori Watson. 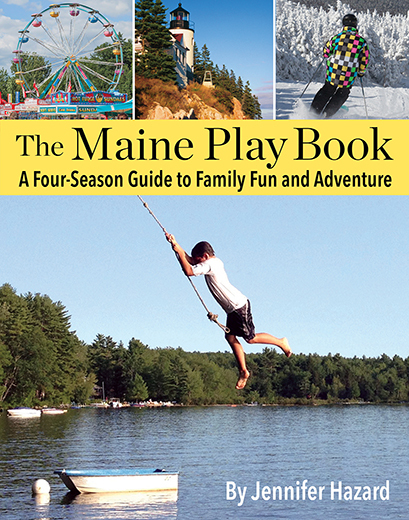 Lori and her family have won a meal for 4 people to Elevation Burger in South Portland. All of this talk about the delicious offerings at Elevation Burger got MP thinking about milkshakes for Valentine’s Day. 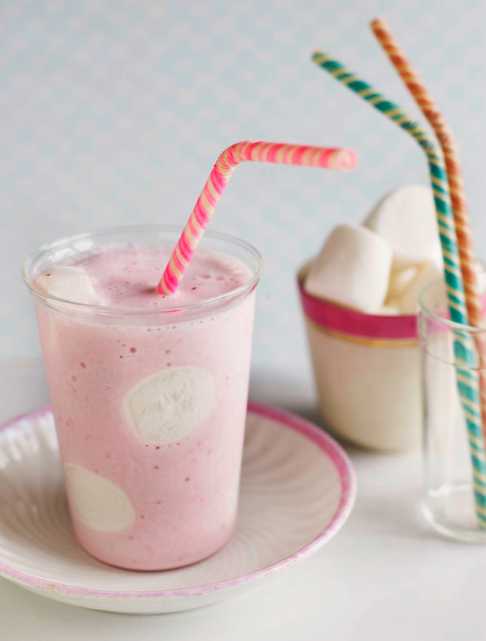 Here’s a festive and satisfying milkshake recipe from one of MP’s new favorite blogs, Sweet Paul. MP doesn’t usually take the kids to fast food restaurants (with the exception of an occasional soft serve or juice box on the road) but she’s not opposed to a good hamburger. 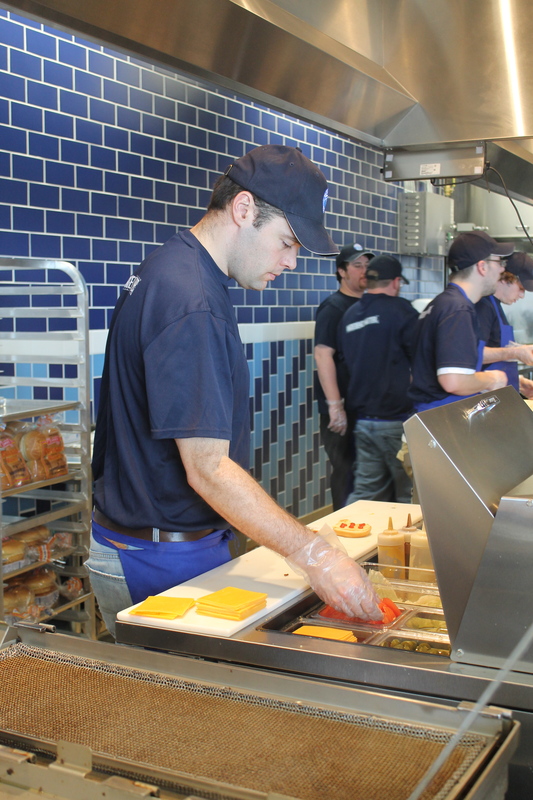 That’s why South Portland’s newest restaurant, Elevation Burger, caught her eye. 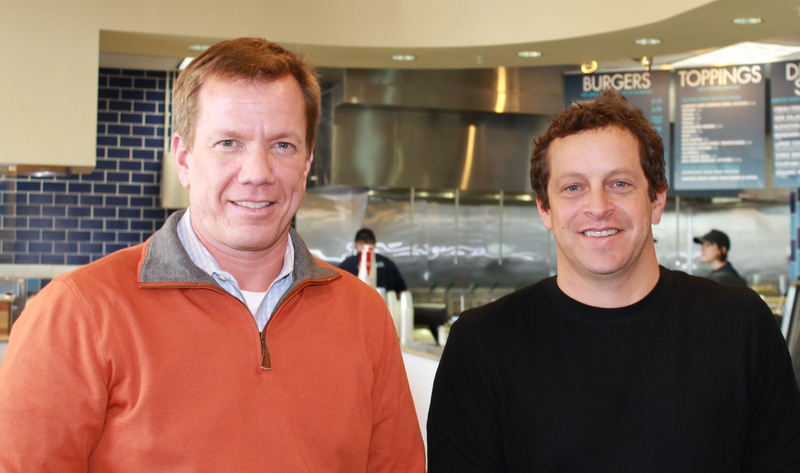 Local dads and business partners Mark Caron and Chris DiMillo decided to open the franchise due in part to the company’s commitment to quality ingredients. Kids will enjoy watching their food being prepared in the open kitchen.